Three students at The Sixth Form College, Solihull have won a competition promoting equality and diversity and mental health issues. Thembeka Zwane, Matthew Bralsford and Danae Joseph were judged the winners of a competition set in academic coaching seminars earlier this term. Students were challenged to present their ideas around British values, Equality & Diversity and Mental Health in any way they chose. These three students produced poems and posters to represent their ideas. They each won Touchwood shopping vouchers for their efforts, presented by Principal Paul Ashdown and Assistant Principal Sonia Wood. Thembeka Zwane (aged 16, from Birmingham) wrote a poem entitled ‘The Life of College’, which he turned into a spoken piece of art. 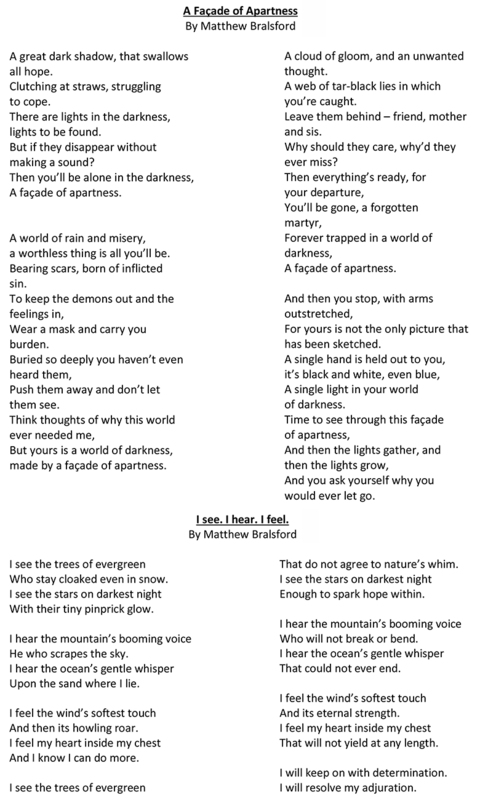 Matthew Bralsford (aged 16, from Shirley) wrote two poems about mental health entitled ‘A Façade of Apartness’ and ‘I see. I hear. I feel’ (see below). 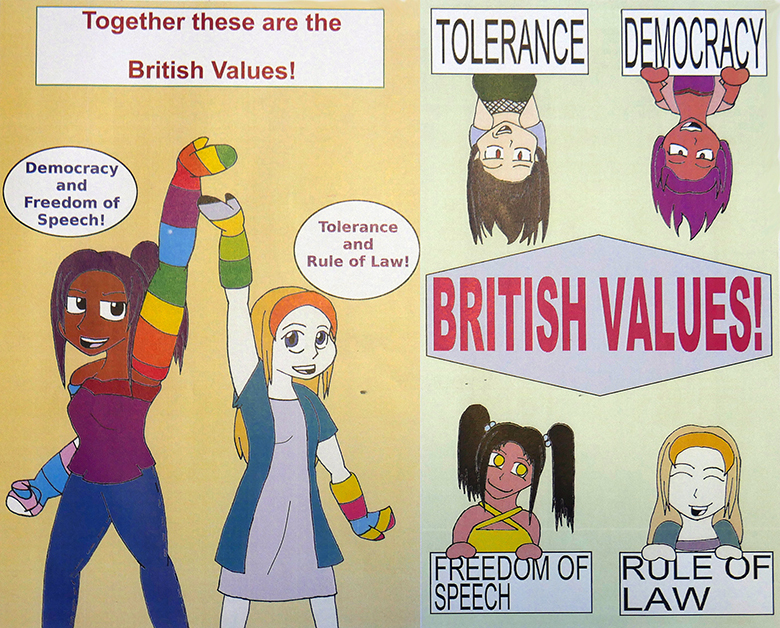 Meanwhile, Danae Joseph (aged 16, from Birmingham) designed two posters (above) about British Values and Equality & Diversity. Students are supported in their studies by academic coaches to assist students with a range of issues from developing study skills to helping them apply for university and employment.